Egyptian Man Names Daughter 'Facebook' - Rumor or Fact? Egyptian Man Names Daughter ‘Facebook’ – Rumor or Fact? There are several reports swirling around right now about a man in Egypt who named his daughter “Facebook”, this according to both CNN and the Los Angeles Times. According to the reports, the man named his daughter “Facebook” after the relevance that social media played in the recent uprising in Egypt, and how social media facilitated a change in power and leadership in the country. Gamal Ibrahim, a 20-something, gave his daughter the name “to express his joy at the achievements made by the January 25 youth,” according to a report in Al-Ahram, one of Egypt’s most popular newspapers. 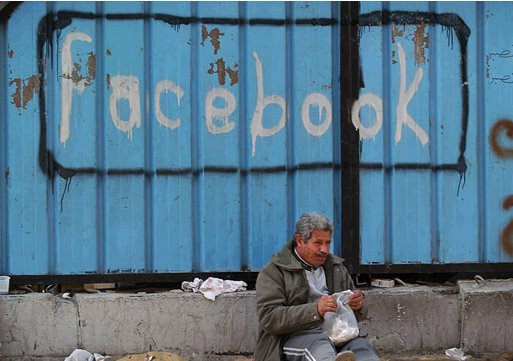 There is no doubt about that the role of social media network face book in Egypt current revolution, i think the man has made a good decision, people are awaken just because of the face book.